Magnificent mansion set in 25 acres of landscaped gardens and parkland. Overlooking the Lynher River, the gardens landscaped by Repton include formal courtyard, terraces, ornamental Japanese pond, fine summer borders, sculptures and knot garden. The gardens of Antony House is home to the National Collection of Hemerocallis (610 cultivars). 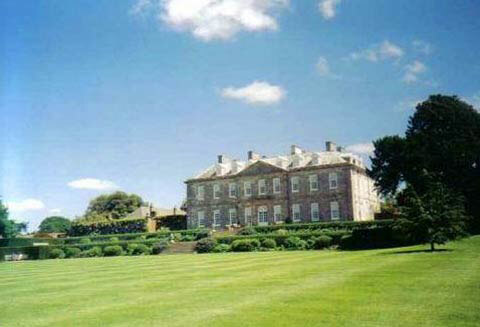 Antony House was constructed, for Sir William Carew, between 1711-1721. The house stands on a peninsular formed by the confluence of two estuaries - the River Tamar to the east and the river Lynher to the north; the sea forming the southern edge. The house like the nearby Cotehele was spared the ravages that so many of the countries fine houses underwent in the name of modernisation in the Victorian period. Antony House features some exceptional furnishings. A splendid collection of portraits including examples of works by Reynolds and a painting of Charles I at his trial. There are 25 acres of landscaped gardens adjacent to the house, and some 50 acres of natural woodland to explore. 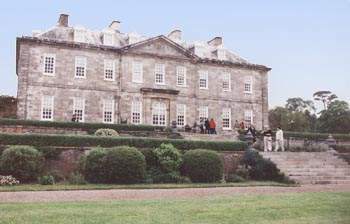 The house and gardens were donated to the National Trust in 1961, the gardens are currently managed by the Carew Pole Garden Trust. The house is a two-storey, silver-grey stone, block faced building with two brick wings joined by colonnades, and has remained largely unaltered, apart from the addition of the 19th century porch. The main rooms in the house are panelled in Dutch oak, with some still containing the original 18th century furniture. Antony House has some fine displays of paintings and treasures belonging to the generations of the Carew family – a fine historic record that dates back to long before the actual construction of the house. There are also some fine displays of fine china, tapestries, embroideries and portraits. The collection of portraits at Antony includes examples of work by Reynolds and a painting of Charles I at his trial. A portrait of Richard Carew, a historian and author of the 'Survey of Cornwall' who inherited the estate in 1564 faces Charles across the entrance hall. Antony's superb 25 acre landscaped gardens include a formal courtyard, terraces, ornamental Japanese pond, fine summer borders, sculptures and knot garden. The gardens are the home for the national collection of Hemerocallis (610 cultivars). A lot of the landscaping was carried out by Humphry Repton, who swept away the formal parterres to the north of the house in the late 18th century. The topiary and yew hedges are the work Mr Pole Carew who redesigned the garden in 1800. The houses magnificent lawns sweep down to the River Tamar. There are many species of indigenous and exotic trees and a collection of camellias, azaleas, rhododendrons, magnolias and other flowering shrubs. 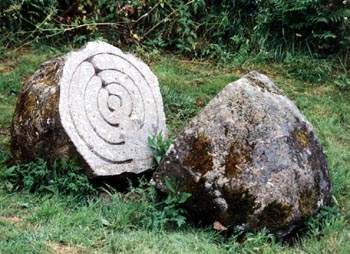 The garden contains a collection of stone carvings from the North West Frontier of India and a temple bell from Burma brought back to Antony House by General Sir Reginald Pole-Carew. There is also a natural woodland of 50 acres bordering the estuary of the River Lynher.